Transport Hi-Tech Consultants (THTC) has launched a new website. It has been designed to include a clean and intuitive interface with enhanced menu functionality that will help visitors navigate to relevant information. “We have built this new website with everyone in mind. With this, we aim to provide a clearer message of who we are and what we do. This new website is one of our marketing initiatives after 19 years in the business to align our digital presence to our brand strategy and future offerings”, said THTC Founder and CEO, Dr. Saad A. AlMubayedh. 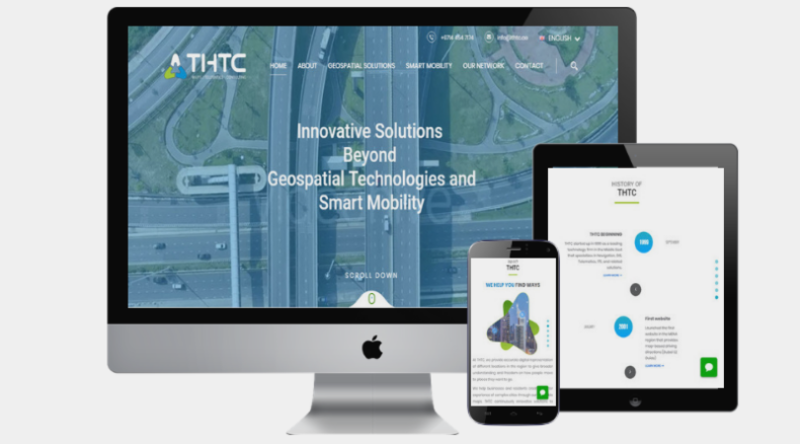 Anyone who is interested in geospatial and smart mobility solutions can head over to THTC’s new website to get an in-depth walkthrough of the latest technologies for any transportation, navigation or mobility projects. Sanad AlHashimi, Business Development Manager at THTC, said: “We want to create the experience that our partners, colleagues, clients and prospects are looking for when they click and visit our site. This new website gives us so much pride as it represents the culmination of the much bigger things that we have in the pipeline in the coming days”. THTC’s website includes a blog for news and other events that will be updated regularly. Latest technologies and projects will also be communicated on time to help in providing support to telematics, transportation and navigation industries.